2 can kissinger help make that 101? Belt Road Imagineering (BRI.school BRI.systems) can help your children – all our children – be sustainable. The next decade is the most exciting and urgent humans have ever collaborated around. "Entrepreneurial Revolution" archives started 50 years ago at time of moon landing value communications technologies as an unprecedented era of human change. For better or for worse, humanity's last decade to harmonise with nature is approaching- will all parents support half the world aged under 30 in uniting as the sustainability generation? This will require new development banking and much more diverse community integrity than western economists or media have previously respected: this must value how girls can empower knowledge and service sectors in ways that were excluded during industrial and agricultural eras. At time of moon landing. opportunities to innovate were still unevenly distributed geographically. While some raced to the moon , almost half of human beings still had no electricity grids. Over the last four decades, two nations - China and Bangladesh - have been outstanding in empowering girls. They show us that sustainability's innovations involve resolving bottom-up community challenges and changing education. Of course, few people made the whole trek. Instead it was a relay of win-win trading neighbors. The economic and social development of this Road depended on there being no hostile cultural borders. The Eastern epicentre of silk road in Marco Polo’s opinion was Hangzhou (today’ s epicenter of alibaba ecommerce which chinese broadcaster CGTN ranks as one of its peoples 4 great modern innovations along with hi-speed trains and mobile finance and shared bicycles). Hangzhou’s “Med Sea” was the yangtze river up to modern day Shanghai and the Chinese Coastal Belt today renowned for the world’s busiest superports. WHO AND WHAT DESTROYED THE WORLD"S MOST JOYFUL TRADING MAP? The problem was crewing a boat was not a popular or safe job. often sailors were pressganged by force and trading ships became armed to make sure they dictated what was traded, and soon (mainly) the English turned this into colonization of places all along the Southern Belt of Eurasia. Not only were people-cenric economies like India eroded to next to nothing from being as big as their populations but the Empire erected borders in quite unnatural ways. Some would say the peak folly of English colonial power occurred in the mid 1800s when the Chinese were ordered to accept opium in exchange for their joyful spices and silks. The Cheinse people withdrew from worldwide connectivity for over a century because of this hostility. This China’s peoples huge network of trading good collapsed as India’s had. You can see the scoreboard of colonization- this was the root cause of the world wars of the furst half of the 20th century. Ironically these wars were truly worldwide in impact because other island nation East of Eurasia – Japan- started to be the East’s badwill empire. And the landlocked North of Eurasia with a frozen coastal belt to the North and the end of win-win trading roads to the south became the USSR. Lets begin with some of the other BRICS classified in 2000s as the biggest developing economies. S=South Africa which in the Colonial age was important to the North sea empires with ports like Cape Town and Durban, while Africa needed to be circumnavigated to reach the East before the opening of the suez canal. Hence this place became part of colonization by English and Dutch. A ray of turn of light for South Africa came in the form of Mahatma Gandhi towards the dawn of the 20th century. As a curious young man Gandhi had decided that Indiam universities could not compare with learning from the centre of empire. He chose to study to be a Barrister at the Bar of London. When he returned home to the region then known as Bombay he found himelf “too qualified”; South Africa became the main place to offer Gandhi work and Gandhi’s own knowledge networking belt became Mumbai-Durban-London-Mumbai. It wasn’t until his mid forties that being thrown out of a first class train for having the wrong skin color became Gandgi’s life changing moment (1906). His plan to go beyond Empire started up round redesigning a totally new education system before challenging Britain face to face for India’s Independence. Quests to develop post-colonial world trade across the Raj's coastal belt and south africa’s own awakening with Mandela are impacted by the ways Gandhi tried to mediate peaceful independence as well as the invention with Maria Motessori of village schooling round peer to peer action learning. Before that China and India c0-lead two great regional invest ment meetups – asian infrastruure inversment bankiong Mumbai 2018 and SCO out of qingdao. Additionally the same un eminet committee has been nterviewed on its creative ides for new development banking belt road by LSE professor Lord Stern. Could it be possible that indoi-a-china will invite the whole raj coastal belth to come together. Everyone can gai to India’s east if a usperport is bult at Cox’s Bazaar at boder of Bangaldesh /Myanma; a railaway line from mumbia through colcata.coz’s bazzaare, asean to china coastal belt. Another railway line from Beijing drawn traight through the gateway southern town chiengdu could hit the southern coatsl belt at cox’ bazzar. A third railway line from chengdu through delhi would hoit the coastal belt just about where India bodres paketaan. Hy presto the post-raj caostlkine now connecets with gulf suez and med sea nations to the north and back down gandhi’s ols shipping route to south Africa. 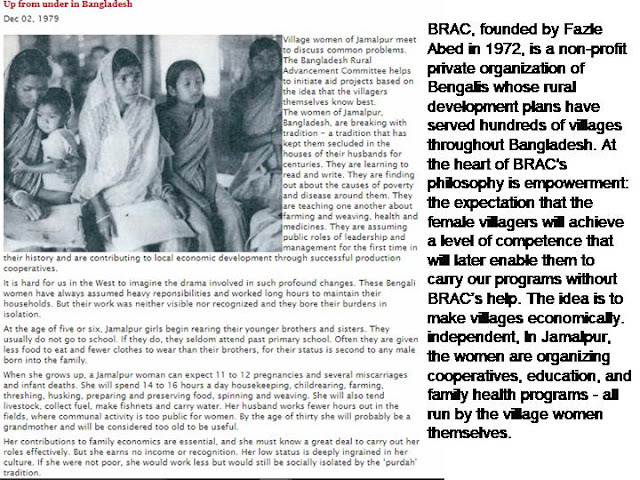 Bangladesh’s founding of the Bangaldesh Riral Advance Committee of community development networks was designed by sur fazle abed who had been inspired by the Brazilain Pauloe Freire. At the toie fo the moonlanding most latin americans =(like bangaldeshis) had no electrocity. The latin american continent hosted a debate- what is our inheritance from latin empire that we culturally value. The Franciscan valuation of professionals gwo go and live and learn in the poerst commeunties cam top. Unfiiertuanltely for latin America,s their region beame much apart of rissia-us’s cold war – so the chances to buld a nation round franscican values were taken up by bangaldesh. Will Latin Americ renew fracsocan belt riads at the G0 hosted by pope francis fatherland Argenetian? Or at the very elast will fraciscan learning tracks become the major agenda f wise at generl assembly. Wise was founded as the education kayreates by sheihka Moza o f Qatar. The inaigugural and most imactful of all laureates is sir fazle abed. Although it may seem ober hopeful to some- the arctic circle or polar belt raod is going to be critical to climate and energy futures. The arctic circle is te one annual meetoing process where american and rissian work side by side with another 6 smart nations including cnada and much of Nordica. A common denominator of arctic circle communities is g=how much distance has perviouslt devivided them. But if the opportintion of 1000 times more connectivity tech today versus 1946 is to be fully valued then distannt communities sharing both elearning channels and new peer to peer beyond the classroom training needs to happen -- polar belt youth can lead the way. Back at the golden eastern triangle of china-japan-s korea, alibaba proposes to help link in community for all expos as the Olympics relays from s korea to Tokyo to Beijing to paris. It is time for the last missing coastal opportunity of the far east of Eurasia to be reunited- yes north korea could be the star of Imagineering epace dividends everywhere- dont Asians thnk?